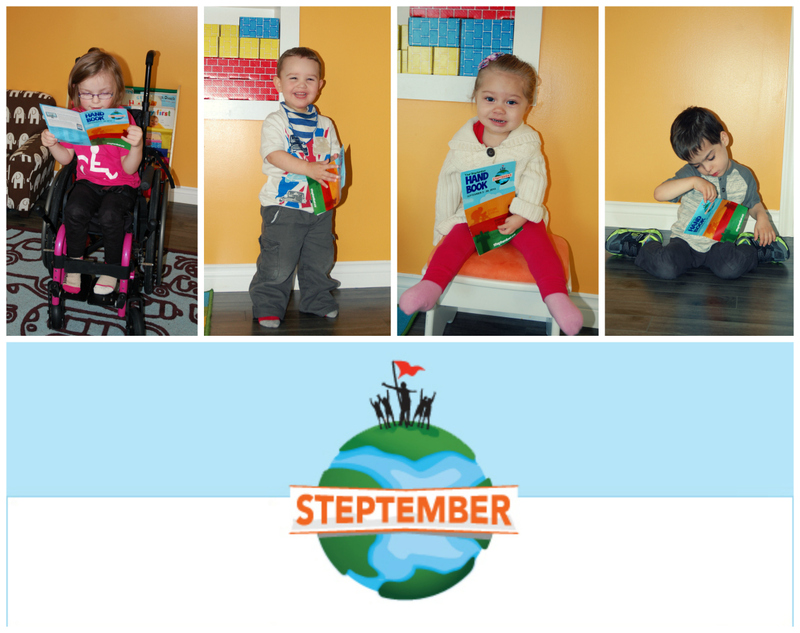 Our Little Tulips are participating in ‘Steptember‘ – an exciting, 4-week team activity that provides participants with the opportunity to improve their health, fitness and well-being, all while raising awareness and much needed funds for people with Cerebral Palsy and other disabilities. The Challenge – get a team of four people together! Each team member challenges themselves to take 10,000 steps per day, tracking their daily step count and recording their total steps on their personalized ‘Steptember’ webpage. Participants don’t have to just walk – there are more than 40 activities including those for wheelchairs or adapted bikes that you can convert into steps! Team of four? – Check! Pedometers and handbooks? – Check! The desire to raise funds for Cerebral Palsy Associations across Canada? – Check! We are ready for it! Thank you for helping to raise funds and support a life without limits for people with disabilities!